Recent concerns over fire safety in large residential properties have brought building regulations into the public eye. The UK has some of the most well-defined safety guidelines found anywhere in the world. Collaboration between industry, safety experts and government has resulted in a series of guidelines designed to ensure buildings are designed with the utmost safety in mind. Companies undertaking airspace projects in England must adhere to the same safety guidelines as any other construction project conducted in the country. The following page outlines some of the regulation in place and the organisations that monitor and assess them. To ensure the health and safety of people living in newly constructed or extended buildings — as well as those who live and work in the immediate vicinity — construction companies must follow a set of health and safety principles developed by the Government and approved by Parliament. These are called building regulations. The minimum requirements to which all building must comply in England are listed in a series of sections labelled A to R in the regulations. These performance-based standards refer to the requirements that must be achieved in every aspect of construction; for example, drainage, electrical safety, materials. The building regulations outline a minimum standard for building design, construction and alterations; however, they do not provide technical guidance. This information can be found within the ‘approved documents’. These documents, approved by the Secretary of State, are not the building regulations themselves; rather, they offer practical advice on how to meet the requirements of the regulations. The documents are labelled A to R to align with the building regulations. 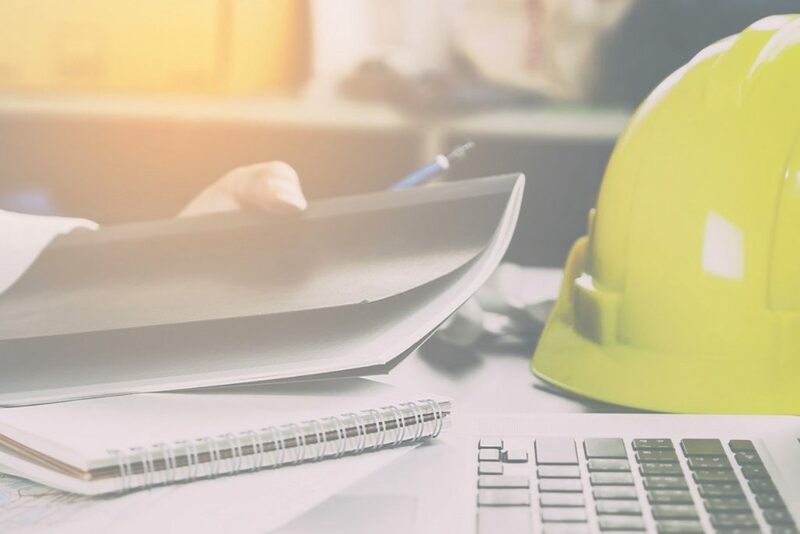 Following design guidance of the approved documents allows construction teams to demonstrate that their projects have met building regulation requirements. There are alternative ways of demonstrating that the building regulations have been met. These must be discussed with the relevant building control body. The building regulations state that approval by a sanctioned organisation — known as a building control body (BCB) — is legally required for large-scale construction projects. In England, local authority building control teams conduct site inspections and offer feedback to help companies and individuals comply with building regulations. 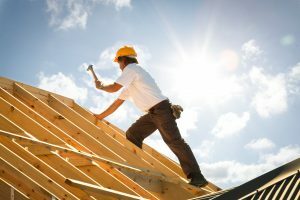 It is the duty of a local authority (LA) to ensure that all construction work adheres to official building regulations, unless an approved inspector has been assigned to monitor the work. However, it is only local authorities that have the remit to demand standards are enforced in the event that regulations have not been met. A not-for-profit organisation known as the Local Authority Building Control (LABC) was created to represent English local authorities and their services both in an individual LA’s region and nationwide. The Building Act 1984 authorised individuals or businesses to carrying out building control work in England. These private building control assessors are known as ‘approved inspectors’. Construction companies may choose to pay more for their building control work by engaging the services of an approved inspector. Private building control companies suggest that their services will be conducted in a shorter timeframe than local authority building control services, with a single dedicated inspector assigned to each project from beginning to end. Many approved inspectors state that they can be contacted directly, minimising potentially costly delays. The organisation responsible for deciding who is eligible for inspector status in England is CICAIR Limited, a wholly owned subsidiary of the Construction Industry Council (CIC). Quality control is an integral part of all construction within the industry. At the start of a project, a quality control plan document will be produced to outline the exact details of how quality will be assessed throughout the project, up to the final stage. Who are the members of the quality management team? What training will be provided to ensure the necessary skills are brought to the project? Who are the named points of contact? What data will be submitted? What types of inspection will be conducted? How will the inspection data be recorded? How will the quality-related information be transmitted? Who will receive the quality-related information? When will the information be transmitted? What regulatory codes must the project adhered to? What measuring devices will be used? What are the credentials of any subcontractors used? Which qualified suppliers will be used for the project and what materials will they supply? The current building regulations are in place to prevent tragedies like the recent Grenfell Tower fire. Rooftop developments and other new projects are required to adhere to the most up-to-the-minute testing. ‘Fire safety’ is a key aspect of the building regulations. With each addition to a building — be it superficial changes to an exterior or the addition of new apartment levels — a fresh set of fire safety assessments is required to keep in line with the Regulatory Reform Fire Safety Order (RRFSO). At South Coast Estates, we insist on an integrated systems approach that sees our design team and all affected stakeholders work together to evaluate all aspects fire safety. Knowledge is drawn from a pool of highly trained experts to produce an approach that incorporates efficiency and future flexibility into fire safety design. Effective building fire protection involves collaboration between fire protection engineers and designers, allowing us to understand and identify all possible sources of fire and ensure the highest level of protection to both residents and property. To produce this level of analysis, South Coast Estates goes beyond simply meeting the minimum legal requirements. Our approach creatively and efficiently integrates building and fire codes to produce strategies that result in exceptional levels of fire safety. 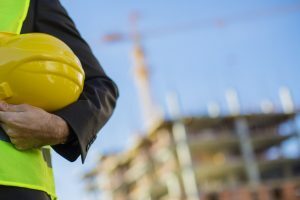 South Coast Estates is committed to the highest standards of safety in all projects through an acute knowledge of the latest laws and regulations surrounding construction projects. Only by setting the highest standards, can we guarantee the trust of our customers and the people using our buildings. We work with the utmost professionalism from start to finish, ensuring minimum disruption and completion of work within the agreed time scale. South Coast Estates adopts industry-leading standards for design, management and behavioural protocols in order to eliminate risk for members of the public. This includes encouraging ‘ownership’ of its work by employees, subcontractors and partners to promote a positive health and safety culture. Only by putting safety at the forefront of any design project do we ensure full protection from potential hazards for both the building’s occupants and structure. To identify potential safety threats, we first anticipate the requirements of the building and assess the facility’s ability to manage hazards. Once ascertained, our design team go above and beyond the standard building regulations to introduce a comprehensive raft of mitigating measures that are both protective and preventative. The 100% building safety record of South Coast Estates is a testament to our diligence and commitment to building safety.